Last week was a good week for sewing around here… Not only did I finish the Chevron Kitty baby quilt in time to present it at the baby shower, I got my 2nd June Sugar Block Club block done! I added a totally new fabric in this month, and I am very pleased with how it came out. The new fabric is the Kaffe in the center. 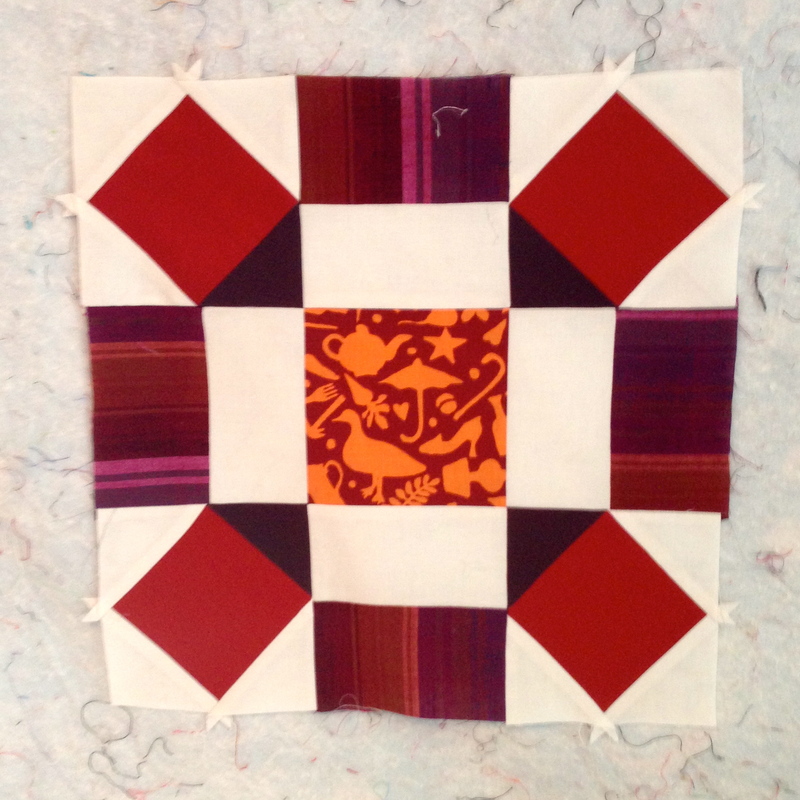 I love the way it looks in this block, and it works with the other fabrics very nicely. As always, I could talk about how my points don’t match perfectly, but instead, I’m going to just enjoy it. I am still debating redoing the bottom left (February) paper pieced block. But I’ll wait to decide. There’s no rush, since no matter what I can’t finish the top until December! The colors in the newest block are perfect! 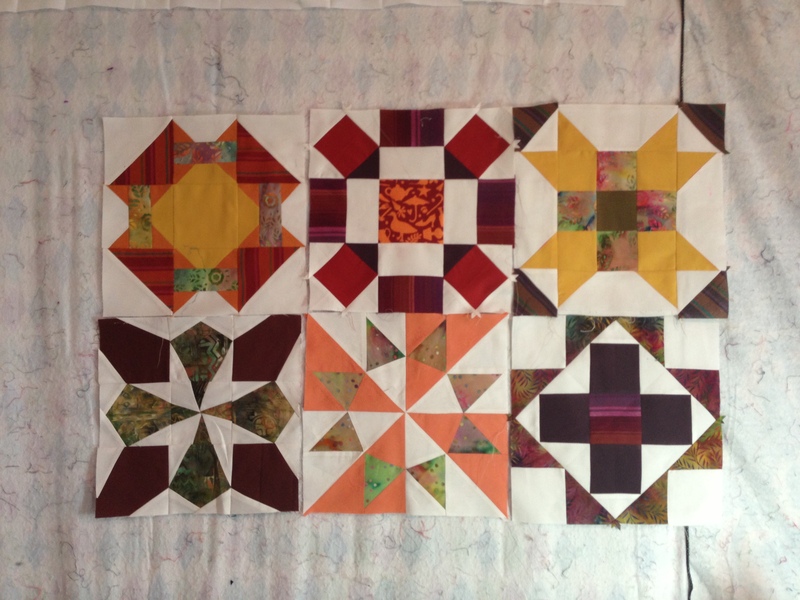 I see nothing demanding a redo on the lower left; it is dark, but it has a dark “partner.” When I do a scrappy sampler, I try to have at least two in somewhat similar color combinations and balance them in the final placement. It’s not so much the color on the one block as it is the lousy job I did with the paper piecing…it’s pretty bad up close. I am planning to use a strategy similar to yours to make certain the blocks end up decently balanced. Glad you are choosing to enjoy the blocks, they’re wonderful.